First up was teaching the new Crochet Shaping course, exactly 1 year to the day since I taught the Crochet Beginners class with Purlescence. We had a lovely crowd of intelligent, inquisitive people along for the ride, who are the best type to have on a class as they help point out the bits I’ve forgotten to say or taken for granted. I adore having a class full of people who ask questions! The new tech worked pretty well – a couple of tweaks and I think we’ve got it sorted, and I’m beavering away now putting the finishing touches to the Tunisian Basics course which runs in June. It wasn’t like a workshop at all – it was like popping round to a friends for a bit of crochet and a natter and learning stuff by accident. Learning can come in many forms, so of it literal and involving conscious effort to learn on your own behalf. I’ve had two instances of this in the last 7 days. 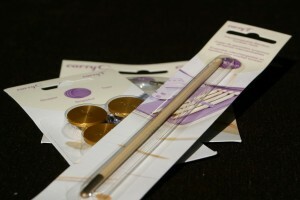 First up I signed up for some knitting courses on Craftsy. I’ve done several of their courses before and found them useful and informative. 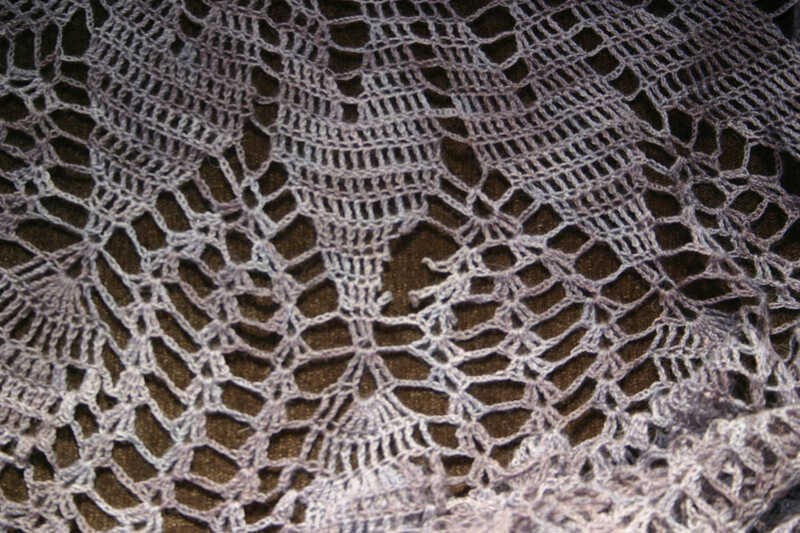 The two I signed up for this week were Franklin Habit’s Heirloom Lace Edgings – if you are a knitter and want to know more about lace edgings and different ways of attaching them to your work (and why snowflakes should always be knit in yellow yarn) then this is an indispensable course. 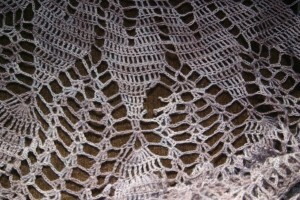 I also signed up for Lace Shawl Design, which I’m not enjoying quite as much but again is packed full of information. It’s aimed at knitters but I can see applying some of the info to crochet designs. 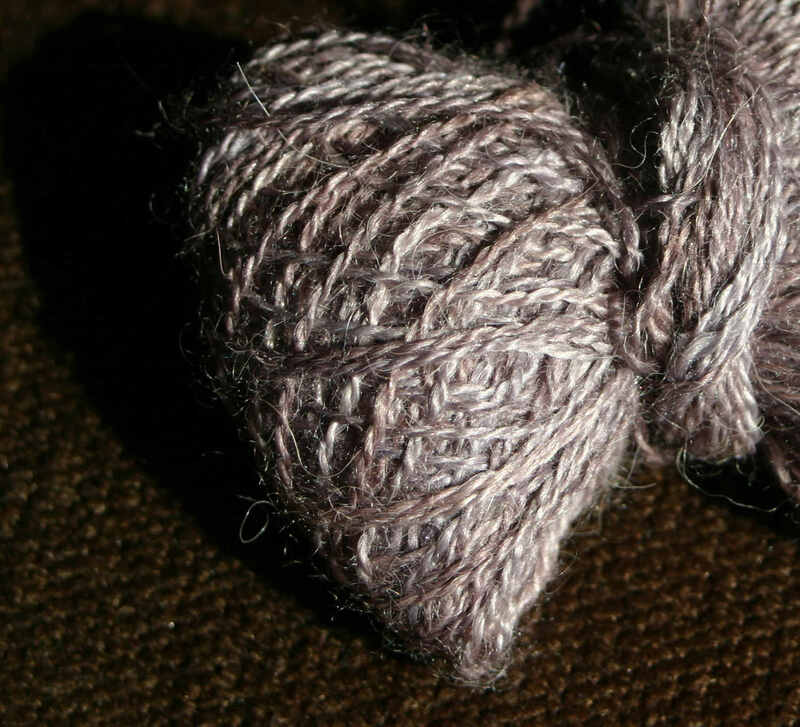 Another type of learning is that from which you learn something from even though you are doing something else at the time – for example, don’t photograph the missing bits of your stash for Ravelry, put it all away and then upload the photos. You won’t remember what the brand is and how much of it you’ve got by that point, I guarantee it! My other ‘non-learning-learning’ session this week was teaching the Shaping class. Any teaching involves just as much learning for the teacher as the students (or it should) and of course by 3am Sunday morning I had not so much ‘rewritten’ the course as ‘reordered’ it – for when it runs again in the future to give a more cohesive and logically structured course. I also got two new stitch dictionaries in the shape of Robyn Chachula’s Visual Encyclopaedia and Edie Eckman’s “Around the Corner, Crochet Borders”. I love my reference books and I’m finding them indispensable in preparing for the texture and colour course in September. 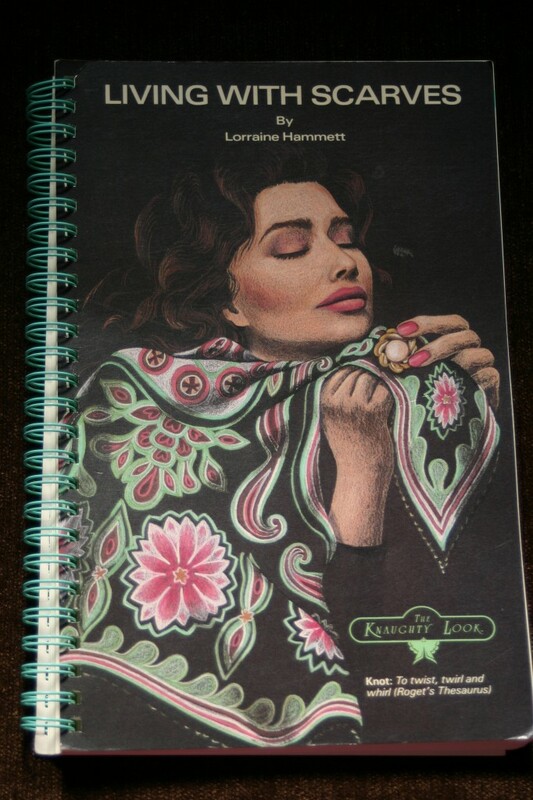 Robyn’s book is very well put together – I’ll do a review soon I promise, but I’m already using one of the stitch patterns. I’ve started a new baby blanket, which may result in a new free pattern. 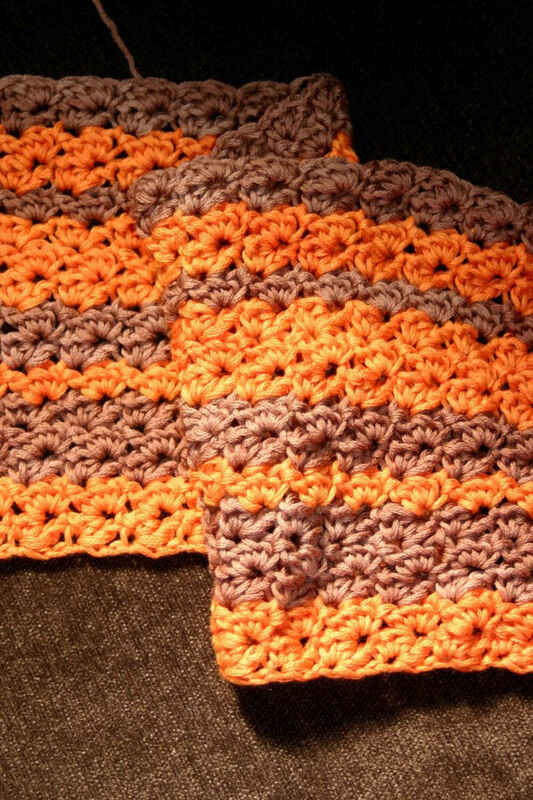 I’m loving this reversible stitch, and the Vinni’s (as always) works beautiful for baby stuff. I’ve made lots of progress this week on loads of different things. I’ve also finally cast on the first sleeve for the Jan Sweater. Having been knitting this sweater since August 2011 I’m really looking forward to finishing it, and while I still have two sleeves and the seaming to do I’m already fantasizing about the next project I will take up once I finish this..
I’m also on the last 3 rows of Honeymeade – although these rows are over 450stitches long so may take me a little while.. I have finally had to admit (temporary) defeat in the face of Frechen. My head is just not in right space to focus on this at the moment, so I’m calling a halt instead of getting more and more frustrated with it. I’m going to back away from it slowly for a couple of weeks and pick it up again next month. In the course in the photographing of the stash I may have taken a couple of snapshots of the yarn I got from Purlescence to make the samples for the Texture and Colours course in September (gee, aren’t I organised?) This is Rooster Almerino DK. and it’s lovely. A blend of 50% baby alpaca and 50% merino it’s squishy and soft and the palette of colours are strong without being overpowering – sort of deep subdued pastels if that makes sense. The colours are saturated without being overly bright giving a lovely rich luxurious feel to the palette. I’m just whittering now, their gorgeous. That’ll do. 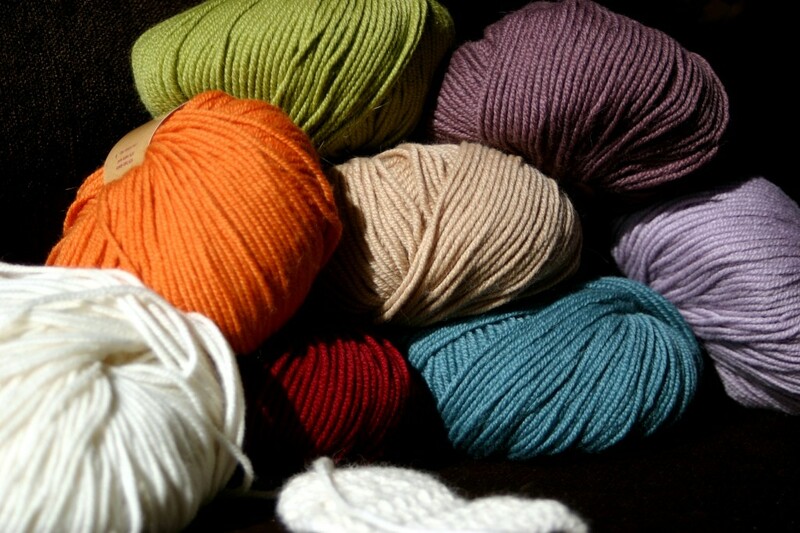 Of course I didn’t just buy yarn (who could?) but I was very restrained. I bought a lovely clasp for my Anais jacket..
and I also picked up one of Tulips new interchangeable Tunisian hooks, along with cable and (for some inexplicable reason) a pack of FOUR cable stops. Why they don’t sell them in packs of two I don’t know – I know we’ll all lose one down the back of the sofa, but trying to remember where I put the other three will never work! I haven’t had chance to play with it yet, but I will let you know how it goes when I do. Not only does the title make it sound like owning a shawl is some form of terminal illness, but the introduction boasts of a whole career option I hadn’t thought of previously. 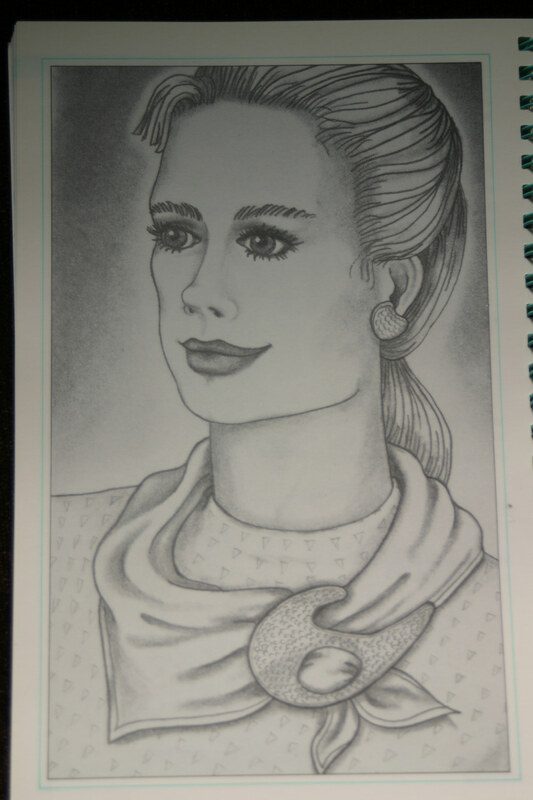 Apparently during the 1980’s nearly every Canadian department store had it’s own Qualified Scarf Consultant. I want to know what’s involved in becoming a Qualified Scarf Consultant. I so want that on my C.V.! At the start of the post I mentioned a ‘bump’. 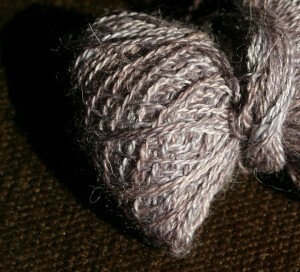 Well I must have caught my ringshawl on something and snagged it. It also forces me to sit down and study my shawl – which should help me start writing up the pattern, something I’m determined to do before the end of April. Easter holidays gave me a little bit of time to dash to the family seat ‘up north’ and visit the relatives. My younger Sister is fabulous, glamorous and wonderful. All my life she has been very focused on what’s ‘in’ and designer labels and stuff like that – reading the magazines and following the trends. Me on the other hand, I get dressed and then wait for it to come back into fashion. It happens surprisingly frequently. 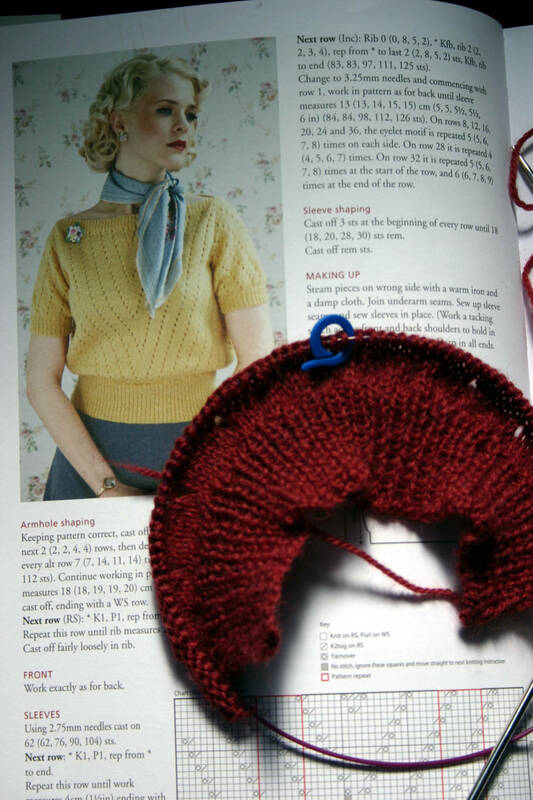 I know that knitting is currently the ‘big thing’, that it has now tapered out and diffused from the ever increasing knitting groups, and is becoming an ever increasing blip on the general populations’ radar. However I was still surprised when Sis asked me to teach her to knit while I was there. A ball of DK (8ply for the non-UK readers) and 5.5mm bamboo needles later and I was *amazed* at how fast my sister processes information. In an hour we had done cast on, knit (which she confessed she kinda remembered from being a child), purl, garter stitch, stockingette stitch, how to tell which one you were doing and how to swap between them, slipping the first stitch of each row (and why) and casting off. 5 hours later she had a ‘Barbie Quilt’ of beautifully even stockingette stitches, and she had started another ‘test square’ with a few garter stitch rows so that it didn’t curl. She has now set her sights on a baby cardigan. I might just have to send her a knit package! I’ve told her about Ravelry, but it’s all very new and daunting right now. I’m scrolling through loads of baby cardigan patterns looking for one that isn’t a basic bog garter stitch boredom fest, but also isn’t a top down, raglan, seamless “and now get your dpn’s out for the sleeves” thing which could terrify a beginner. Sure I’m on the other end of a skype call, but that’s not the point – any suggestions anybody? There is a theory that the older you get the faster time seems to fly by. I think it’s all marketing myself (how can you possibly not think the year is going faster if you can buy Easter eggs on 26th December?) but I’m still surprised by how fast my first course of 2013 has rolled around. I’m all ready bar piling everything in the car – piles of samples, class notes, presentations, blocking equipment, secret goodies and the cutest little baby cardigan for a gender confused child..
See that little dotted pink line? 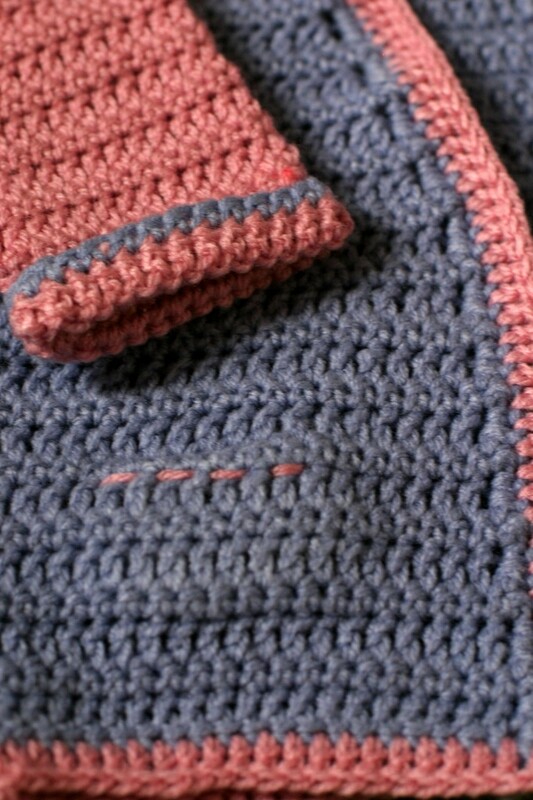 That ladies and gentlemen is a short row pocket – worked at the same time as the garment. It gives a completely seamless pocket top and invisible joins and is so cute. I didn’t think of this myself, I got the inspiration from Franklin Habit and his love of vintage pattern (you can read his post here if you like). Another example of short row shaping is done in the neck of this little cardigan to let it lie properly on the back of baby’s neck. However the most concerning thing about this cardigan is not the fact that I have made a baby garment (those of you who know me may be surprised that I didn’t in fact spontaneously combust when presented with this little task) but that I (who never, ever, ever makes any baby blanket present in baby blue or baby pink). had two balls of baby pastels in my stash. What I want to know is “why do I have a 100g ball of baby blue acrylic, and 100g grams of baby pink acrylic in my stash? !” It would appear that the stash is prone to growing, with stuff you don’t want, if you don’t keep a careful eye on it. Having said that the Crochet Shaping course is going to be a blast, I’m trying out several new ideas – I’ve even had my nails done in preparation! k- and I’m really looking forward to it. Most of this week, and last week has been taken up with final minute non-productive flapping, but I did get to the end of the charts on the Honeymeade shawl (you have no idea how happy I was to complete that!) and I’ve done the first 5 rows of a slip stitch crochet rectangular shawl test about 20,000 times. More fool me for thinking it would be easy. More on that process next week I think! Finally in other news, the doctors are now weaning me off the drugs to see what happens. Apparently what happens is that when I get to 1mg my hands object, so I’ve gone back up to 2mg till Saturday and will drop back to 1mg next week when it’s not so vitally important that I can use my hands. My next appointment is 22nd April so we’ll see what happens then.